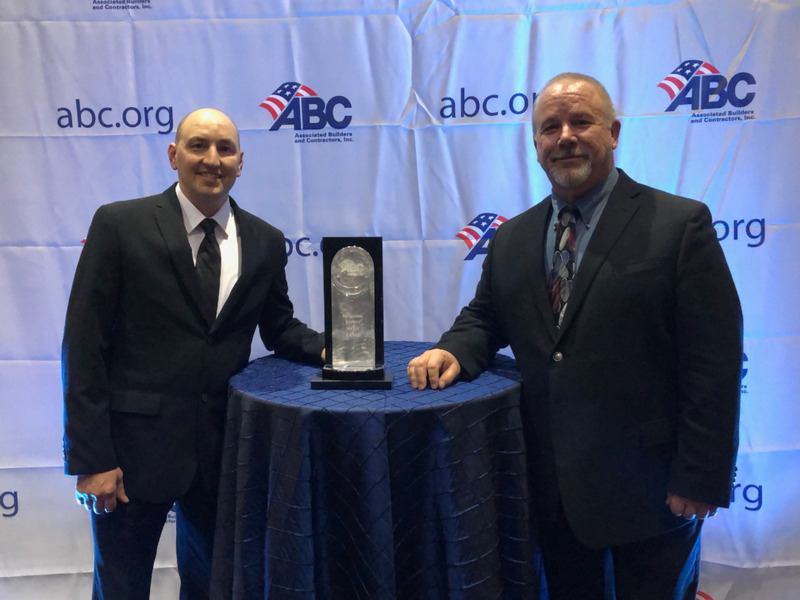 Associated Builders and Contractors (ABC) announced that Three Rivers Corporation continued a safety record that has earned the company recognition in the Commercial and Institutional Building Construction category of ABC’s National Safety Merit Awards. Three Rivers Corporation representatives received the award on March 21st during the Excellence in Construction awards celebration at the Long Beach Convention & Entertainment Center in Long Beach California. The award recognizes Three Rivers for its model safety performance and programs. The ABC National Safety Merit Awards recognize companies who exhibit a continued commitment to jobsite safety and whose safety performance and programs are judged to be exemplary by the ABC National Environment, Health & Safety (EH&S) Committee. Awards are based on data submitted via STEP applications, essay questions and video interviews with company Presidents/CEOs/Principals about their corporate safety culture. Award categories are based on a company’s total work-hours per calendar year and placement within the North American Industry Classification System (NAICS). To qualify for a Safety Merit Award, a company must first demonstrate the highest levels of performance in ABC’s Safety Training Evaluation Process (STEP). Requirements include that the national safety winners were judged on self-evaluation scores, lost workday case rates, total recordable rates, leading indicator use, and process and program innovations. After the company has met or exceeded the qualification of the application the company is interviewed by members of ABC’s National Environment, Health & Safety Committee. After all of this is complete to committee evaluates the companies.